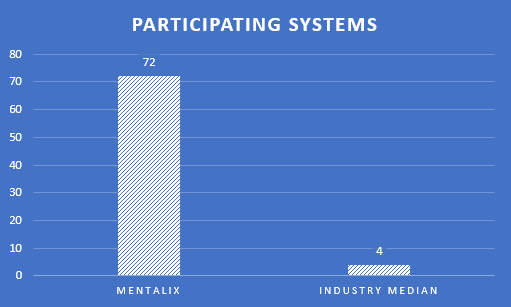 With 72 systems participating in the EAR program, Mentalix represents the second largest market presence in all of Texas. With so many systems providing data to the program, Mentalix’s results accurately reflect average performance in a wide variety of agencies and environments across the state. Less established vendors not only have less experience with Texas submissions (resulting in higher error averages), but they also have fewer participating systems, making it more difficult to comprehensively gauge performance. The average live scan error rate, across all participating vendors, comes it at a whopping 7.70%. To put that into perspective, for every fifteen submissions made through other vendors, one will result in an error, requiring technical support calls, re-rolls, re-submissions, or all three. 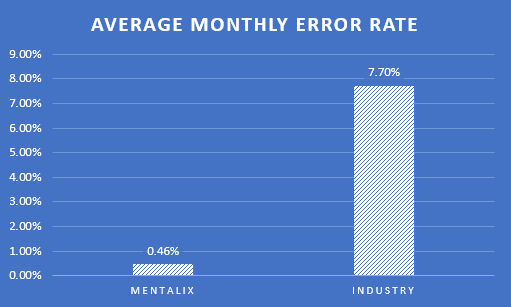 However, The Mentalix error average clocks in at only 0.46%, making Mentalix one of the most accurate and widespread providers in Texas, saving our users from hours of troubleshooting. A good live scan needs to be more than accurate, it needs to be consistent, and a great way of gauging that consistency is by comparing a vendor’s average annual error rate with the highest monthly error rate. The highest monthly error rate reported in 2018 was a staggering 59.46%, far and away from the annual average. 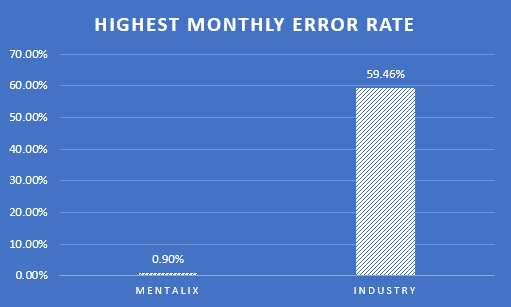 On the other hand, Mentalix’s highest monthly error rate in all of 2018 was only 0.90%, less than half of a single percentage point off from the annual average of 0.46%. All this to say, Mentalix live scans are incredibly reliable, day by day, month by month, and use by use. If you’d like to read the complete reports, or see how your agency compares, you can check the TxDPS EAR website for more, or read our rundown of the 2017 report. As always, Mentalix remains committed to providing the highest quality products and services to all our customers, and we will continue striving for excellence in the new year.